On Wednesday, 8 September 1841 in the building bearing No. 12 in Nelahozeves, a little boy came into world – the first child of František and Anna Dvořák. The following day he was baptised by Fater Jan Němec in the Church of St. Andrew just across the road, in the presence of his patente as well as godparents František Christoph (the village miller) and Aloisie Trusková ( wife of the village cooper ), and he received the name Antonín. At that time the Church of St. Andrew was a subsidiary church administered by the parish office in nearby Minice. Not until sixteen years later was an independent parish established at Nelahozeves, whereupon Father Němec became the first Nelahozeves parish priest. In the year when Antonín was born Nelahozeves consisted of 46 buildings and had 438 permanent inhabitants. It was an administrative centre for a domain of the Lobkowicz family, which had its seat at the ducal castle in Roudnice nad Labem. 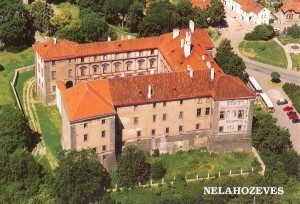 The Nelahozeves castle served as headquarters for economic management of the family property and also as the office of an official of the nobility having judicial authority. Besides the Lobkowicz farm operations, Nelahozeves had a brewery, a distillery, naturally a mill and a smith’s shop, a ferry across the Vltava (Moldau) River, and at the edge of the village a gamekeeper’s lodge, a sheep shed, and a knacker’s yard. Several peasant cottagers, orchard keepers, a few small-scale artisans and craftsmen, farm labourers working for the Lobkowicz family, and the teacher at the local school-all of these rounded out the picture of the village’s everyday life. Building No. 12, where Antonín Dvořák was born, housed a tavern called by the locals Engelhardt’s Inn. In the spring of 1841 Antonín’s father František rented the tavern from Mrs. Anna Engelhardt, widow of Josef Engelhardt, and began running it as a source of income to supplement that from his butcher’s trade. Certified as a master butcher, he was already operating a butcher’s shop at No. 24 in Nelahozeves, which had been run by his father continuously since 1818 with an interruption of only a few years between 1825 and 1829. Frantisek Dvořák settled in Nelahozeves sometime near the end of 1840 after marrying Anna Zdeňková, daughter of a farm manager in Uhy near Chržín. Evidently the young married couple rented the tavern to supplement their earnings while Frantisek’s older brother Josef and their father helped run the butcher’s business; the father lived in the building with the butcher’s shop until his death in 1842. Seeing a Dvořák in the taproom was nothing unusual: in the widely-branched Dvořák family, whose origins can be traced to the regions of Kralupy and Kouřim, the occupations of butcher and tavern keeper were both very common. twelve years of his life in Nelahozeves. In accordance with family tradition he was expected to become butcher like his father and grandfather, but as we know, fate often changes people´s preconceptions. Soon it was clear that little Antonín had musical talent, which his father František welcomed with real pleasure because he himself was an enthusiastic musician: he played the zither and frequently made music with his brother capable players on violin and trumpet, I various taverns including his own. It is quit probable that he was soon accompanied b his son Antonín, for whom he procured a little violin as soon as possible. Probably in 1847, when he reached the age of six years, little Antonín began attending school. 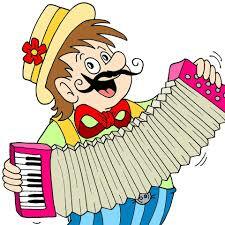 church and – as his daughter recalled – instrumentalists there resented being scolded by him for playing wrong notes. And how I trembled then, with what fear I tuned my little violin, how my bow shook through the first notes! But I gathered all my strength and said to myself: ‚Boy, get hold of yourself, this is no time or place for fear‘- and it turned out well. As soon as I finished, there was murmuring and rustling around the whole choir loft. Everyone pressed toward me, friends smiled at me happily, clapping me good-heartedly on the shoulder, and from my neighbour, the first violinist in the ensemble, I even received a whole Groschen. 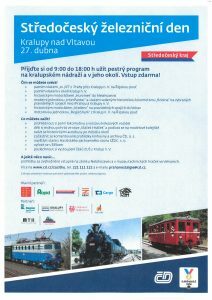 Worthy of special note among Dvořák’s childhood experiences in his native village are locomotives, trains, and the railroad. It was here that his life-long interest in these technical innovations began. Between 1845 and 1850 a railway line from Prague through Kralupy to Podmokly was built, passing through Nelahozeves along the river. This massive construction project not only brought thousands of people from the most far-flung corners of the Austro-Hungarian monarchy to this otherwise quiet village on the Vltava, enlivening for a time the everyday life of its inhabitants, but also gradually transformed the community’s overall character and daily rhythm. Several houses in the picturesque settlement beneath the castle had to be sacrificed to the new transport route. On the other hand a new building was erected near the Church of St. Andrew to serve as the local railway station. The first trains passed this way in the spring of 1850, transporting divisions of the Austrian army. Freight traffic began later. On 8 April 1851 a festival train passed through Nelahozeves with a luxurious compartment carrying Archduke Albrecht among others. Jubilant crowds assembled at the local rail- way station and along the tracks, probably including the nine-year-old Antonín Dvořák. The impressions from this event were unforgettable. In 1853 Dvořák completed his obligatory daily school attendance and as a ‚reward for diligence‘- because he was an exemplary pupil – he received a book titled The Pious Christian as a gift. In the autumn of the same year his father sent him to a larger community not far from Nelahozeves, the town of Zlonice near Slaný, where he lived with his uncle Antonín Zdeněk, farm manager for the domain of the noble Kinský family. In Zlonice Dvořák continued his education in music under Josef Toman and especially under Antonín Liehmann, with whom he studied piano, organ, viola, and composition. Then he spent the 1856-57 school year in the German town of Bohmisch Kamnitz in northern Bohemia, (now inhabited by Czechs and called Česka Kamenice), to improve his skills in the German language. German style. It was probably during this time that he began his life-long friendship with Karel Bendl, who allowed him to study scores in his extensive private music library. the organ school Dvořák became a violist in the orchestra of Karel Komzák. In 1862 this ensemble became the orchestra of the Provisional Theatre, where Dvořák played under that institution’s music directors J. N. Maýr and later Bedřich Smetana for nine years until 1871, when he left the orchestra and tried his luck as a private music teacher. y Dvořák’s closest friends knew of his efforts as a composer. Under highly-strained economic conditions he composed very assiduously, writing a String Quintet in A minor, Op. 1 in 1861 (strongly influenced by Mozart and Beethoven) and continuing with many more chamber works, in 1865 the Symphony No. 1 in C minor (The Bells of Zlonice), Symphony No. 2 in B flat major, the (first, unorchestrated) Cello Concerto in A major, and the song cycle Cypresses, then entr’acte music for plays in the Provisional Theatre, the opera Alfred, and in 1871 his first musical setting of the opera King and Collier. Many of these works were highly experimental and influenced by the advanced New German style of Liszt and Wagner. 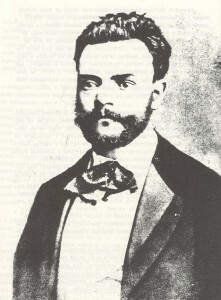 The second main period of Dvořák’s career began with a performance on 9 March 1873 of his Hymnus by the ‚Hlahol‘ choir of Prague under Karel Bendl, which brought him his first great public success. It was also in 1873, on 17 November, that he married Anna Čermáková, one of his pupils. In 1874 he took a position as organist at the Church of St. Adalbert in Prague’s New Town, but three years later he resigned that post to devote himself exclusively to composition, helped in part by grants from the Austro-Hungarian government to support tallented artists of limited means, which he received five years in a row starting in 1875 on the recommendation of a jury including Johann von Herberk, Eduard Hanslick, and from the sekond year on Johanes Brahms. During this period Smetana served as an example to Dvořák in his successful quest to find a mature, independent style. Other primary models were Beethoven and Schubert. Works composed from 1873 trough 1877 include the Symphonies Nos. 3, A. and 5 in E flat major, D minor, and F major, the Piano Concerto, the Symphonic Variations, numerous chamber works, the famous String Serenade, the popular Moravian Duets, the monumental Stabat Mater for soloists, chorus, and orchestra (one of the most important works in Czech choral literature), and in the genre of opera a completely new setting of the libretto to King and Collier followed by The Stubborn Lovers, Vanda, and The Cunning Peasant. Towards the end of the 1870s Dvořák’s compositions began to be performed outsider the Czech lands. A decisive landmark was the year 1878 when his Moravian Duets were published by the renowned Berlin firm of F. A. Simrock on the recommendation of Johannes Brahms – who now became an additional significant influence in the further course of Dvořák’s career and stylistic development. The period from 1878 to 1880 is sometimes considered the first ‚Slavonic Period‘ in Dvořák’s output, characterised by influences from folk music of Bohemia, Moravia, and other Slavic regions and use of the ‚dumka‘ (inspired by a Ukrainian lament), as represented for example by the Slavonic Dances and Slavonic Rhapsodies, the String Sextet in A major, and the String Quartet in E flat major. sidered composing an opera Šárka based on a text by Julius Zeyer. Other works of special note from the mid – 1880s through the beginning of 1892 include the Scherzo Capriccioso for orchestra, the Piano Trio in F minor, the famous Piano Quintet in A major (Op. 81, perhaps intended to replace his early Piano Quintet in the same key, Op. 5), the Piano Quartet in E flat major, the Poetic Tone Picture for piano, the Symphony No. 8 in G Major, the Dumkas (Dumky) for piano trio, and the three overtures In Nature’s Realm, Carnival, and Othello. Many rare honours now came Dvořák’s way. In 1890 he was appointed to serve as one of the original full members of the new Czech Academy for Sciences, Literature, and Art. In 1891 Cambridge University awarded him the title of Doctor Honoris Causa, and Charles University in Prague followed suit shortly thereafter. It was also in 1891 that he accepted a post as Professor of Composition at the conservatory in Prague, where he was an excellent pedagogue and trained a number of composers of later renown including Josef Suk, Vítězslav Novák, Oskar Nedbal, and Rudolf Karel. York, where he was hired by Jeannette Thurber as Director of the National Conservatory of Music in America – a post he held three years until 1895. Inspired by the 400th anniversary of the discovery of America, he composed his Te Deum and a cantata The American Flag. Works he wrote on American soil include the celebrated Symphony No. 9 in E minor (From the New World), the String Quartet in F major, the String Quintet in E flat major, the Sonatina for Violin, the Biblical Songs, his nostalgic (second) Cello Concerto in B minor, and (in part) the String Quartet in A flat major. 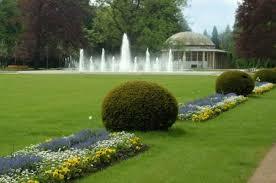 Meanwhile during his summer vacation in Bohemia in 1894 he wrote the Humoresques for piano. America Dvořák lived and worked in alternation on Žitná Street in Prague and at his beloved country house in the village of Vysoká near Příbram. He resumed is duties at the conservatory in Prague with avid interest, composed the String Quartet in G major and completed the String Quartet in A flat major, then turned his attention to orchestral program music and stage works, writing five symphonic poems – The Water Goblin, The Noon Witch, The Golden Spinning Wheel, and The Wild Dove all based on fairy-tale ballads by Karel Jaromír Erben and then A Hero’s Song. These works brought his expressive abilities to a peak, and his orchestration achieved a unique vividness drawing on the Impressionistic palette, while form inclined toward the conceptions of Liszt. Further fruits of Dvořák’s preoccupation with fairy tales were the operas The Devil and Kate (1898-99) and his most popular stage work – Rusalka (1900). In April 1901 Dvořák received a supreme honour in the form of appointment as a lifelong member of the House of Lords of the Austro-Hungarian Empire, together with the writer Jaroslav Vrchlický. These two artists were the first representatives of Czech culture ever to be distinguished in this way. Dvořák’s last completed work was the opera Armida (1902-03). In 1904 he was considering another opera, Horymír, when his plans were thwarted by death. 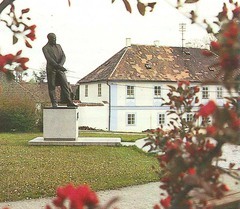 Dvořák was always glad to return to his native village. His arrivals were not generally announced with any fanfare, so we have no detailed reports about them: mostly they remained in the memories of those he visited. 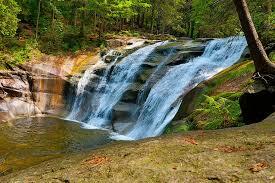 He had many relatives and friends in Nelahozeves and its immediate environs. Occasionally he visited the well-known tavern ‚U Stolzů‘ in Hled’sebe where he played cards or skittles. Legend has it that when already a reverend composer he still sat down several times at the organ in the Church of St. Andrew, where he had been baptised, and played just for his own pleasure-perhaps musing about the childhood he spent there. Only a few steps from the church stands the house where he was born, and the railway station is in sight.
. Andrew in which the Havran Choir from Veltrusy sang followed by the Czech Vocal Quartet of Prague. Organ improvisations reminded listeners of motives from Dvořák’s opera Dmitry. In the afternoon there was a procession to the house where Dvořák was born, to music played by the Miner’s Band of Kladno. Then the writer Karel Pippich delivered a festive address, and the celebrated native son was declared an Honorary Citizen of the Village of Nelahozeves. In the early evening a concert consisting exclusively of Dvořák’s compositions was given in a restaurant, featuring the Czech Trio and, again, members of the Czech Vocal Quartet among other performers. 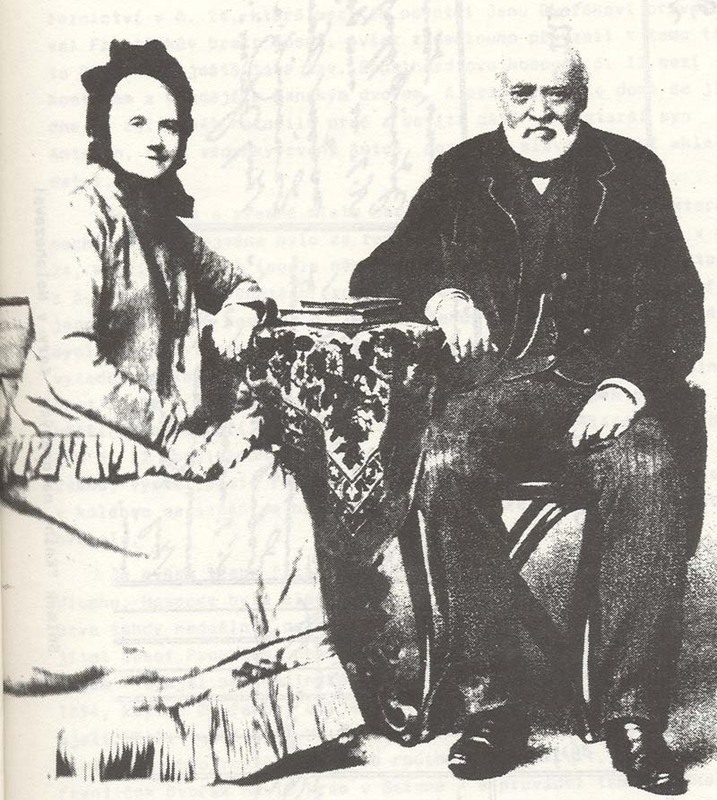 Dvořák’s daughter Magda sang songs and an aria from Rusalka: it was her first public performance. Following the concert, at nightfall, magnificent fireworks glittered over the Vltava River, bringing the celebrations to their official close. 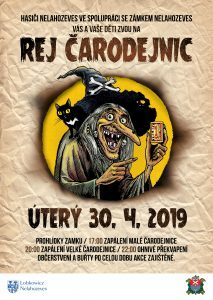 her F. A. Urbánek. It was in that very year of 1901 that the younger Urbánek founded his own book and music dealership, quite modern for its time. 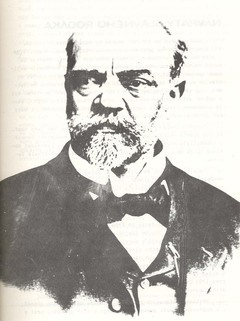 Evidently the Memorial Book was originally supposed to serve only for occasional entries regarding the most important events concerning the village, such as were the celebrations of Dvořák’s sixtieth birthday. Several years later, however, it took on the function of a village chronicle. Credit for establishing the chronicle goes to Adolf Pergl, the priest in Nelahozeves at that time. After Dvořák’s death on 1 May 1904 in Prague, Pergl entered into the book a detailed report on preparations for the Dvořák celebrations in Nelahozeves in 1901 and their course, which he was able to do because he himself contributed to them in no small measure. He could not guess, however, that his report would become the start of a chronicle – in the future a valuable source of information regarding the life of the community. The entry on pages 19 and 20 is from the year 1913 and reports on circumstances surrounding the unveiling of a memorial plaque on the house where Dvořák was born (see next two pages). September the guests arrived, including the composer’s son Antonín Dvořák with his family and close relatives, canon of the Vyšehrad Chapter in Prague Msgr. Dr. A. Stříž, Prof. Zástěra of Kralupy, and Dr. Bachlík among many others. The guests of honour were welcomed by the festival committee. In the morning a special mass was celebrated in the local church, which had been repaired at great expense thanks to the church’s administrator Antonín Nedbal. After the worship service a speech was delivered in front of the house where Dvořák was born. The Fibich Choir of Kralupy sang. The monumental Renaissance castle, dating from 1553 and built high above the River Vltava, is owned by the Roudnice branch of the Lobkowicz family.The castle was constructed in the mid -16th century by the nobleman Florian Griespeck of Griespach, an influential member of the court of Emperor Ferdinand I.The castle remained in the property of Griespeck family for only three generations.In 1623, the castle was purchased by Princess Polyxena Lobkowicz and has been owned by the family ever since. During the Thirty Years War(1618-1848), Nelahozeves was damaged several times by military attacks. Small improvements continued in 1860, in 1876 Franz Riedl worked out a plan for reconstruction in the neo-Renaissance style, although the reconstruction was never realized. Partly endangered sgraffito was saved, as well as arcades in the North wing; some of the interiors were also modified. Thus the original structure benefited from limited changes that would have dramatically altered its present original and historic look. Since the second half of the 1960’s, the outer castle structure was maintained, though the Lobkowicz farm was demolished during the general restoration of the area surrounding the castle. During the late 1970’s and 80’s, the Czech Regional Gallery used Nelahozeves castle to house and display some of the Lobkowicz painting collections, as well as modern „socialist“ art. The castle was returned to the Roudnice branch of Inside, a permanent exhibition of the most important from the Lobkowicz collection has been established, for the first time in history. 1997 marked at Nelahozeves the ceremonial grand President Vaclav Havel and his wife of a unique collection, never seen before of paintings, decorative arts, musical instruments and manuscripts spanning six centuries. This permanent exhibit, entitled „Six Centuries of European Art Patronage,“is one of the largest and most significant private collections in Europe. The installation incorporates thousands of works from the collection of the Roudnice branch of the Lobkowicz family, including important paintings by Lucas Cranach the Elder, both Pieter Bruegel the Elder and Younger, Paolo Veronese, Sir Peter Paul Rubens, Diego Velázquez, Antonio Cnaletto and Bernardo Bellotto. The exhibition presents connections between the artists, family patrons and the works which they acquired. A significant part of the exhibition features a major collection of furniture, sculpture, ceramics, porcelain, glass, metalwork, family photographs, manuscripts, and arms and armor which decorated Lobkowicz castles. In addition, Nelahozeves Castle houses a fabulous library of over 65,000 volumes, which has been made available to scholars and special interest groups. The Roudnice Lobkowicz family has undertaken enormous task and responsibility of the care, maintenance and management of those works now in possession. Through its Foundation and non-profit fundrising activities, the family seeks to carefully preserve and present the Collection for the benefit of the public for generations to come. 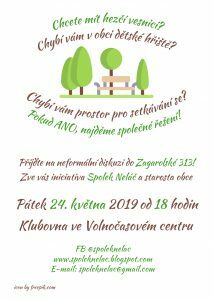 It is hoped that this exhibition will generate not only public interest but, more importantly, encourage involvement in the preservation and study of Czech cultural heritage. The castle – in most cases its Knights Hall – has been since 1993 the scene of numerous musical events organized within the framework of the Lobkowicz Musical Summer – a festival inspired by the place of birth of the musical genius with accent on his works. 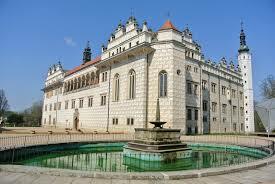 Concerts, opera recitals and appearances of renowned Czech and foreign musical soloists and ensambles take place here.